Sunday is for "Eat, Sleep, Eat, Sleep". Relax the weekend and have a calm day by sharing this "Its Sunday. 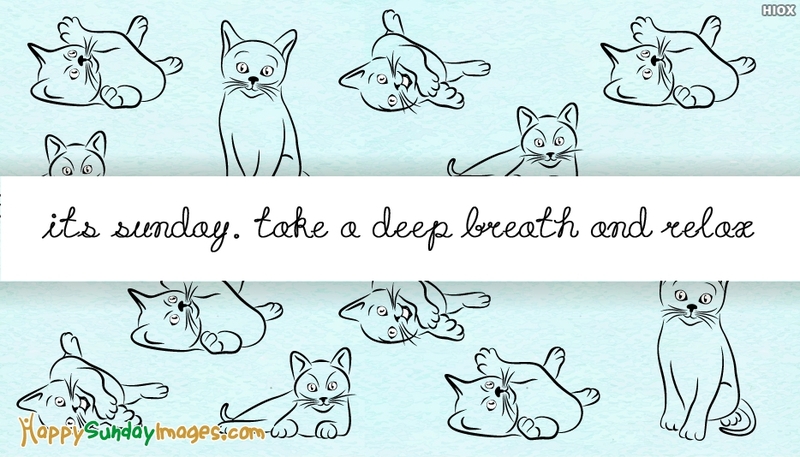 Take A Deep Breath and Relax" greeting card with all your dear and near ones. Have a Happy Sunday.